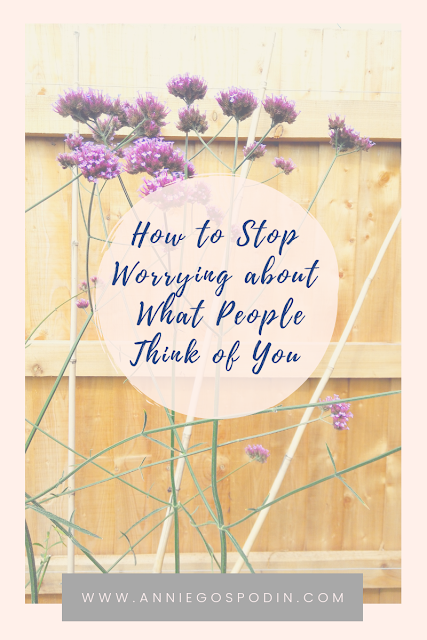 Have you ever worried about what people think of you? Have you ever stopped yourself from doing something you really wanted to because you didn’t want certain people to think of you in a different way? And have you ever wished you didn’t? If the answer to at least one of these questions is yes, then you’re in the right place. You are ready to let go of worrying over what people think or say about you. You no longer have to feel the need to censor yourself or hide who you are. Here’s the thing, people will think whatever they want about you no matter what you do or do not do. You can’t control others’ thoughts, perceptions, impressions or actions. So I invite you to take a moment and ask yourself is it worth investing all that time and mental energy into worrying about something that’s simply out of your control? 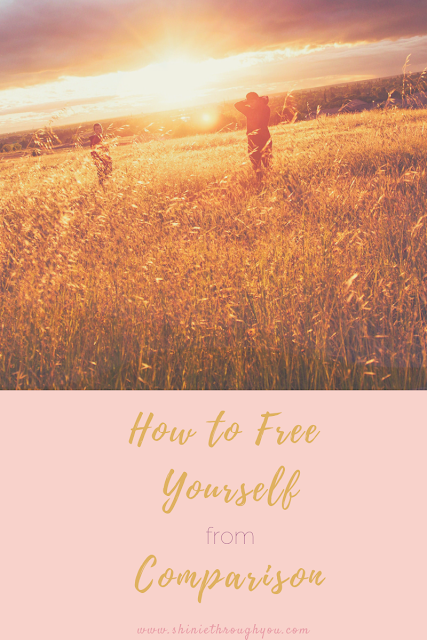 Constantly having other people at the back of your mind can be exhausting and constraining, but the good news is that you can absolutely set yourself free! When you actively worry over what others might think, you give away your power. You prioritise their thoughts and opinions over yours and enable them to have a say even if you don’t really want to. People’s views on you and your life would matter less to you when you show that they are not that important to you. The more significance you give them, the more you’ll remain stuck in the worrying cycle. Reclaim your power and no longer allow others’ opinions or actions to have an impact on you. You can start by cultivating daily awareness and every time you catch yourself changing your behaviour because of someone else, let go of the importance it possess and remind yourself that YOUR perception of yourself is the only one that matters. It takes practice and consistency, but it works. It doesn’t have to be a long speech, actually the simpler it is - the better. Form your words in a way that really resonates with you and helps you navigate the situation without feeling the need to hide or censor yourself for the sake of others. Trusting yourself strengthens you inner power. The more you believe in yourself and your actions, the less you second-guess and seek validation from others. That self-belief allows you to exercise your boundaries with more ease. It gives you the support you need to own your power and recognise your authority over your life. Here’s a quick self-belief tip for you: Before you start overthinking what someone thinks of you, first ask yourself “How would I show up if I fully believed in myself?” If you were absolutely certain in who you are and what you do, would you still worry over what other people thought of you? Would it still matter? Yes, confidence has a play in this too! If you’re feeling confident about your decisions and life choices, you wouldn’t worry as much about others because you would be feeling so secure in who you are. So how can you build your confidence more? Confidence shines from within, it starts with deeply accepting and loving who yourself. You can try reflecting or journaling about all the things that make you feel the most confident and tuning into that feeling every time you slip into worrying what other people might think of you. Think and speak of yourself positively and with compassion - affirmations are a great option if you like using them! If they are not really your thing, create your own and be aware when you focus on your imperfections more than on your strengths. You can also create a self-care toolkit and fill it in with what makes you feel good. 💗 If you found this helpful, please share it with a friend whom it might resonate! I am going to get straight to the point with this one. 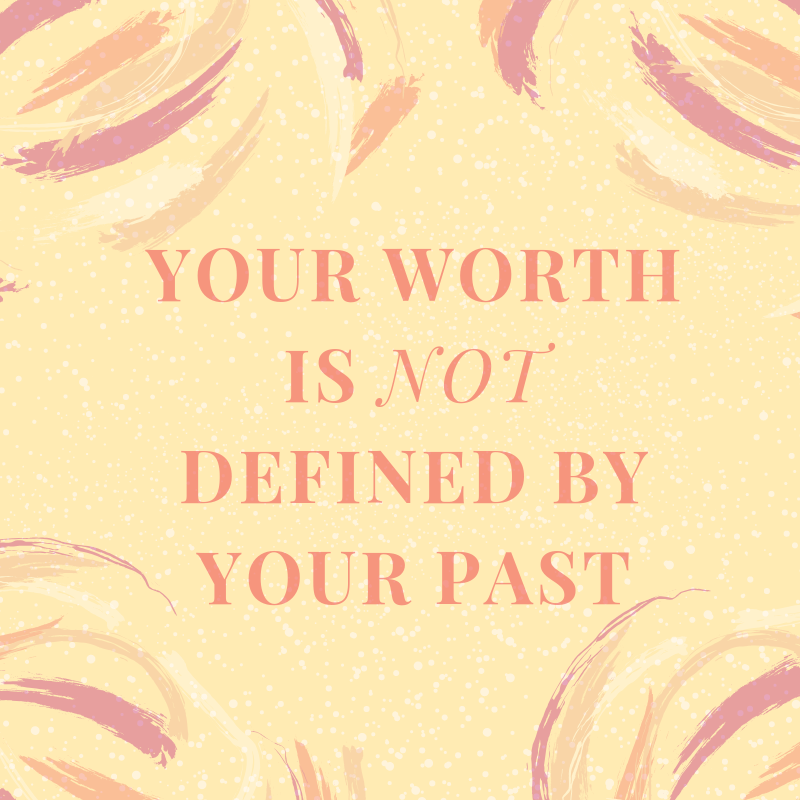 Own your worth. You are worthy of unconditionally loving yourself, honouring yourself, following your path, living your truth and making your dreams happen. You are already worthy without a beauty commercial having to tell you so. Embodying your self-worth is the number one pillar of personal growth, receiving all the wonderful things you deserve and living the life you desire on your own terms. It all starts with here. Below you will find out some of the main blocks to owning our worth, how to recognise them and overcome them. Once you are aware, there's nothing standing in your way! Let's get rid of this modern-day myth once and for all. Your worth is not defined by what you've achieved or what you are currently trying to achieve. It simply isn't. You are worthy just because you exist, you are worthy just because you were born, you are worthy just because you breathe. As driven and determined women, we tend to get so caught up into our ambitions, tasks, plans and goals that we see outcome and progress as the only indicators of how worthy we feel. The more "productive" we felt that day, the more worthy we've felt - does this sound familiar? I admit that I used to believe so. 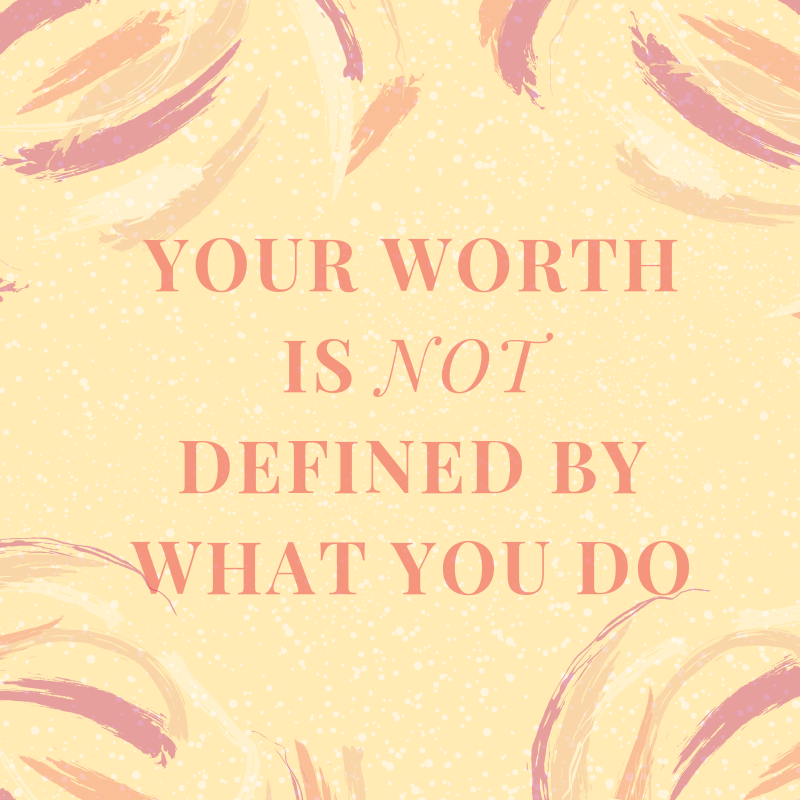 I defined my worth with accomplishments, securing job roles and clearing my task list to name a few. I was living always on the chase for the next big thing, thinking that then I would pause, then I would deserve to feel good about myself. But guess what? That "then", that mythical land never came, because there was always something else that needed to be done first. The truth is that there will always be something else that needs to be done and that's totally okay, but don't let these things meddle with your self-worth. You are not any worthier for getting the promotion you've wanted than when you just started your first boring job. You are not any worthier for being in a happy relationship than when you were messily single. You are not any less worthy for watching Netflix on the weekend rather than running a marathon. You are worthy 24/7, 365+ days. You are worthy beyond your human time on Earth. This is a big one. Society is great at trying to define us, put us into categories, little neat boxes and tell us what we are and what we are good at. It dictates what the "norm" is and assigns labels. And labels can really block us from owning our worth, especially when we believe that they define our value, identity and true essence. 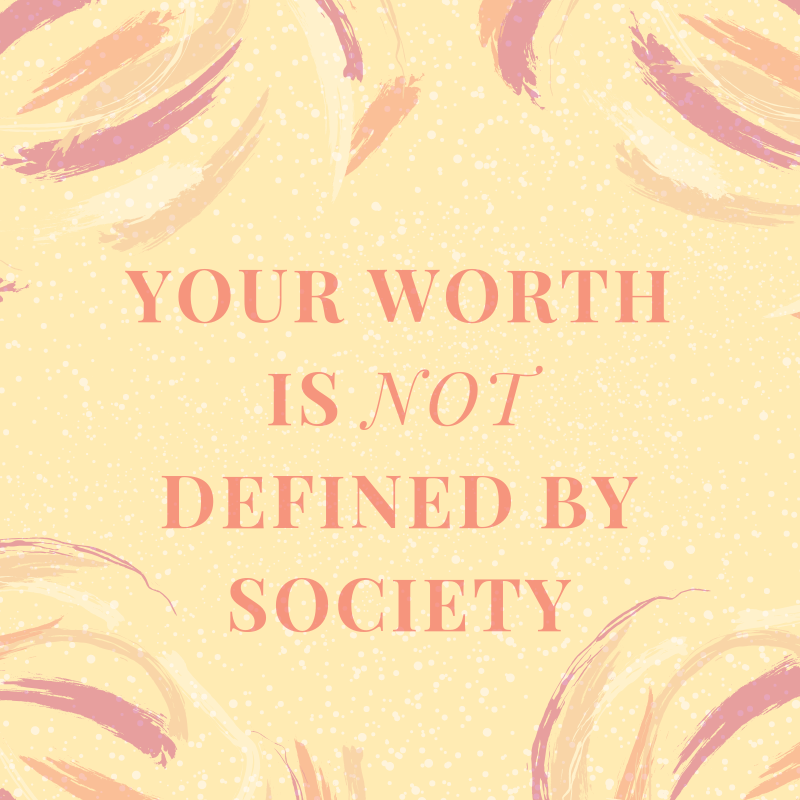 Society and people may try to define and judge your worth, but you don't have to do that. You are the only authority on the matter of who you are. You are the only authority who can say whether you are "different" than the "norm" and what it means to you. 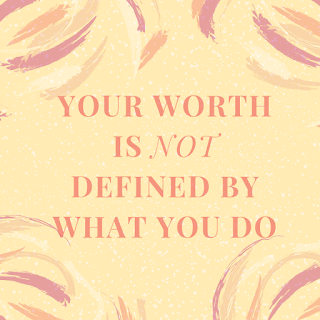 You are the only one who has the power to diminish your worth, deny or withhold it from you. Your worth comes from within you. It's infinite. Often we believe we are worthy only when we count the good parts and sunny days of life. But when we think of the past, of what we consider "mistakes" and "failures", we hesitate. It's difficult to fully believe in your unquestionable worth when you feel guilt or shame. Allow yourself time and space to heal from the past experiences and give yourself the ultimate permission to move on free of the weight that the past has put on your shoulders. Healing is an intricate process that is not universal for everyone, you can start by forgiving yourself first and see where it takes you. Lean on the love you feel within yourself towards yourself and allow it to guide you. Letting go of the energy of the built-up pain from the past can be a raw, vulnerable and emotional journey, but you owe it to yourself to start fresh. 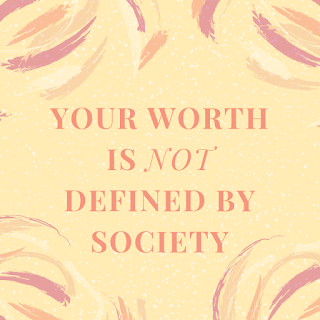 You owe it to yourself to honour your self-worth. 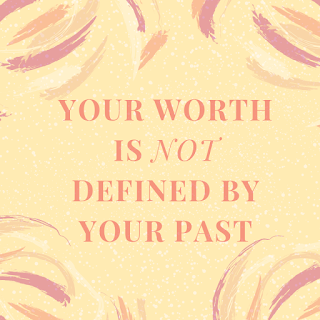 You are not your past and you are worthy no matter your mistakes, errors or failures. What matters is who you believe you are. For a clarification, there's more to this list. 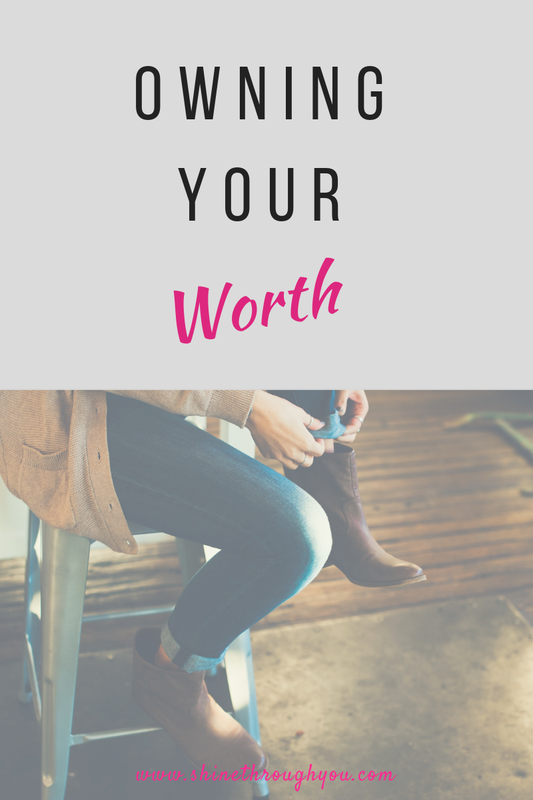 You can sit down with yourself and take a moment to reflect on your own worthiness - is there anything you don't feel genuinely worthy of? Do you feel ready to heal and move forward? 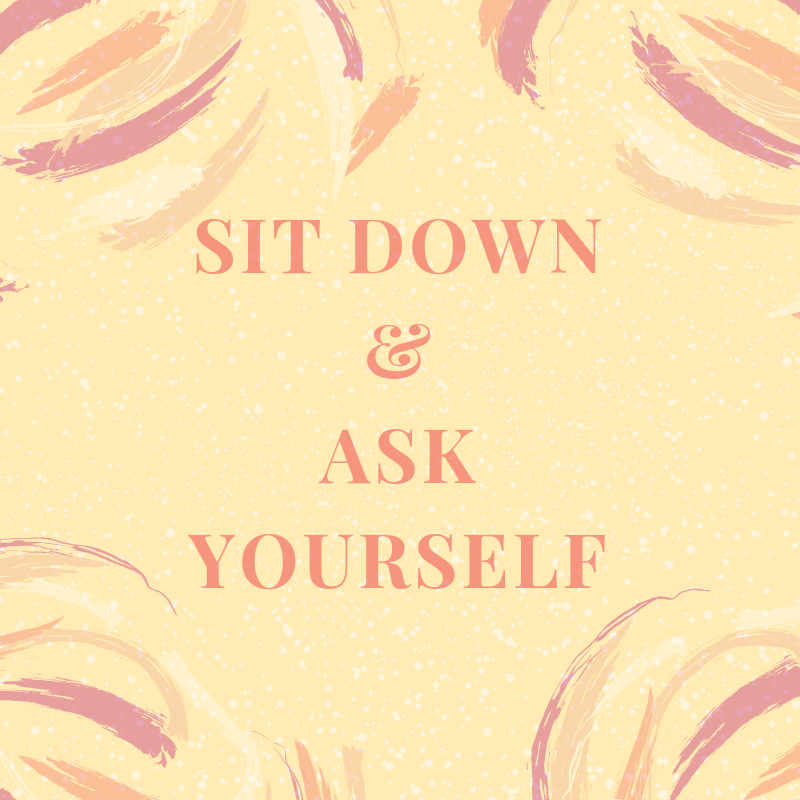 What can you do everyday to embody your self-worth? If you've got any questions, feel free to hit the comment button below or send me an e-mail! I'm always happy to hear from you! Have a day of love and ease! In Daily Motivation we will lead the fight to stay motivated, whether it's about your job, the boring tasks you have to deal with, the workplace-built intolerance, finding the strength and time for your real passions, follow what truly makes you happy, or just live and wake up without the daunting feeling of having to go through another rushed day. Previously on Daily Motivation - Do You Want to Find Out What You Really Want? A few weeks ago I've briefly touched on the topic of resistance when I was talking about Learning to Accept Uncertainty, but resistance deserves to be explored on its own. It's integral part of who we are. 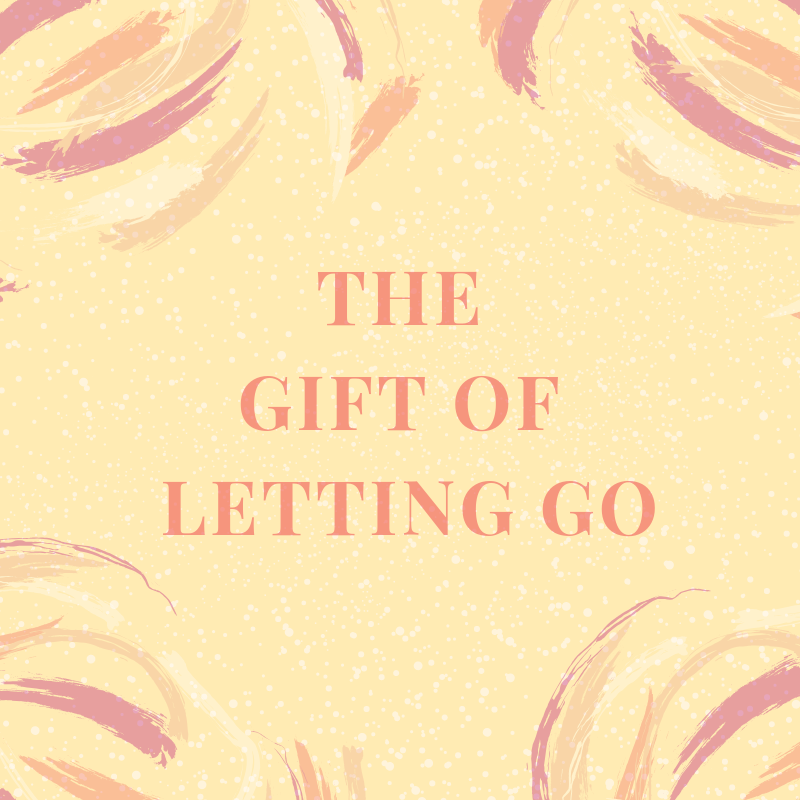 When I happen to discuss it, I often use it in conjunction with "letting go" or "releasing", but before we even get to the pivotal point of letting resistance go, we first need to acknowledge its presence. We need to meet resistance, face it within us and stop running away from it or denying it. Just like with most things in life - it's here because it has something to show us. So let's first allow it before we let go of it. If we are fighting something it simply means we are not ready to accept it yet. It's a gradual process that we are often not even fully aware of. You can notice it by the rising need of control and attempts to change something that can't really be changed at that moment. 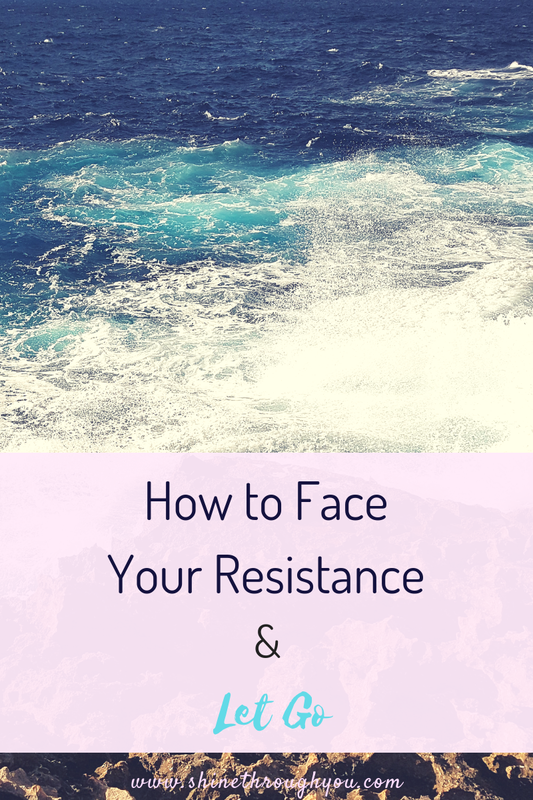 Resistance can cause us inner tension, built up frustration and make us feel powerless. The more we resist something, the more it persists. But letting go is not as easy as we would like it to be. It takes more than saying a few words. We need to be fully ready to accept, but before that we need to meet our resistance. Feel it, sit with it, befriend it. How does it feel? What is it here for? Ask your resistance to show what there is to teach you and then learn from it. In the past couple of weeks I realised that I was resisting moving to a new home. Not because I wanted to spend more time where I am currently, but simply because I was resistant to change. It didn't make sense to me why I would be resistant so I denied its presence within me. I was adamant that I wasn't fighting moving. But I was. Big time. When I finally acknowledged my resistance, I learned that it was here, because I was afraid. I was so caught up in the practicalities of the move that I didn't want to admit that I felt fear, fear of the new, the unknown, fear of change. All of my past negative experiences associated with moving have flown into my thoughts and brought back the fears of repeating those patterns. I was resisting, because I was afraid to go back to where I was before, to the old versions of myself. But that's not possible. We can't undo our growth. We can't go emotionally and mentally back to where we were before everything we've learned up until now. I saw myself in my resistance. And so I've started letting go of the old "me", the fears and then I was finally ready to release the resistance. Before we can let go of something, we need to really know what it is and why it is here. We can't close a chapter that we only skimmed reading. It's uncomfortable, it's emotionally messy and can bring back so much of the old dust that we swept under the rug. Now is our chance to really clear that dust for good. Resistance is not a bad word, it's not something we need to rush into getting rid of only because it's inconvenient for us. Let's learn from it first. Have a day of ease and love! Inner Quiet is all about you. We will tackle the thoughts and fears of living in a world that keeps going even when you feel that you need a break. When a stressful life wraps you in its claws with no-way-out, we will try to show you another possibility, another solution, another way. No matter what you do or what you want to see yourself doing, we want to help you to shine through you. To be a human is hard enough without the constant pressure of being perfect and in this day and age we might feel it's impossible to live free of self-imposed constraints and others' expectations. Let's prove it wrong. As social beings we tend to compare ourselves to others whether that would be our social circle, friends, family or even someone we have never met on the internet. It's easy, often it comes automatically and we don't give it a second thought until we start to think and feel the consequences. Comparison at its core can be neutral, but the way we use it is what we have an issue with. The problem further deepens when we start to use comparison as a measuring scale or a norm of what we have, what we don't have and what others have and don't have. Then it ends up as a downright spiral. Here's the thing, though, you can let go of comparing yourself to others and fully free yourself from feeling low, negative or bad in any way as a result of it. It's not impossible, okay? By comparing ourselves to others we can lose ourselves into what we think we "should" be. As we watch how others think or act, we can start wondering why we are not more like them. Is there something wrong with us? Do we have to try harder to be better? If we become what they are, will we get where we want to be? Would be more liked? The answer to all of these questions is simply "no". You don't have try harder, there's nothing wrong with you being different from your friends and family. 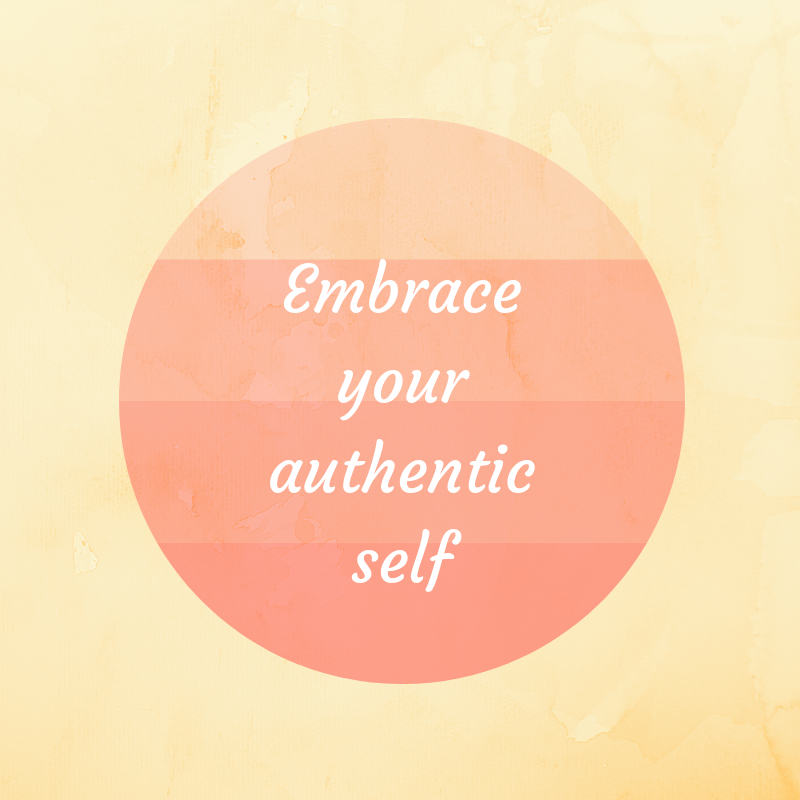 The only way you can really get where you want to be is by being your authentic self. You can't live someone else's life and expect it to make you truly happy. It can make that person happy, because that's their life. But it's not yours. Your desires are intertwined with your true essence (i.e. personality, dreams, values, identity, soul calling, strengths and imperfections). We have these desires because of the way they would make us feel. No one deeply wants something, just because. We desire, so we can feel a certain emotion within us. That's the emotion you want to feel, so that's the desire you grow and the only way to feel it is by being you. Trust yourself that you are exactly where you are supposed to be. Trust yourself that the person you are is who you are supposed to be. Fully believe in yourself and how your life is unfolding. Pause, let go of the "race" and live life at your own pace. The thing with comparing yourself to others is that you don't know, you can only guess. You don't really know what they have and what life stage they are at, you don't really know how they've achieved something. You can only guess. What looks to be something on the outside is not necessarily the same on the inside. People are complex, just like you, they can portray a certain version of themselves, they can allude to certain things, but who knows what the truth is? You won't really know and you don't need to. That's the reality they are living and you can only focus on the reality you want to create. Your life is worthy to be as you want it to be, you are worthy of expanding it not by using others as a measure. Instead trust it. Trust your voice and your gifts. Trust that feeling within you that guides you. It is the only indication you need of making sure you are on the right track. It is the only measure you need to know what to do. Not others. Here comes the practical part. If you are really committed to feeling, tasting and embodying a lasting change (and I know you are! ), it's time to take some action towards making it happen. And remember, it doesn't have to be hard. It can be easy as long as you are consistent and not critical of yourself. Think about what are your triggers of comparison. What usually inclines you to start comparing yourself to others? Is it a conversation you have had with a friend? Is it perhaps scrolling down the social media feed (we all do that, so there's no judgment here)? Your triggers could be anything, but you are the only one who knows. So take a moment to reflect on this and once you have a better awareness of your habits, we can make some real changes. Create a list of actions that you are going to stick to daily. There's no point in writing in something unrealistic that you know you are not going to do at this early stage of your progress, so pick something that you are very much ready to implement. For example, this could be unfollowing people on social media who trigger your comparisons. It could be creating some healthy boundaries with that friend who you end up comparing yourself to. It may seem a bit harsh, but think about it this way - you are either going to allow your triggers to serve as a mirror to what you need to see in yourself and allow them to inspire you to get where you want to be or you are going to continue the downright spiral of comparison. The choice is as always your and yours only. You know what's best for you as long as you are honest with yourself. Have a day of love and ease and hit the comment button below to share your thoughts! I'd love to see how your journey of freeing yourself from comparison is going! Have you ever wondered how your day would look like if you didn't have to push through it but rather flow with it? Well, here's the thing - going through your day doesn't have to be a struggle. You can absolutely allow your day to unfold organically all while you get your work done. It doesn't have to be one or the other. 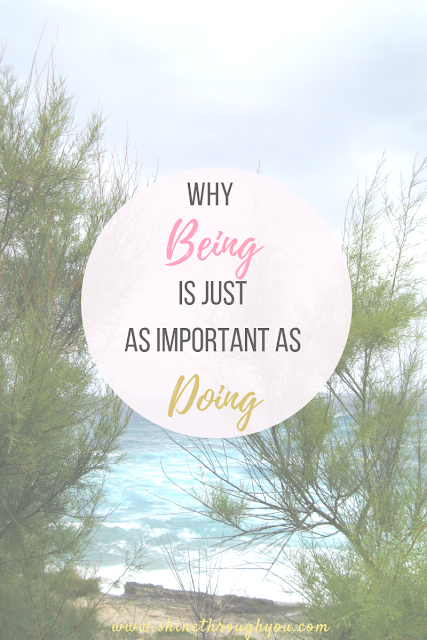 "Doing" doesn't have to come on the expense of "being" and vice versa. We are used to operating on a basis of five-six days of doing and one day of being. We are convinced that being is unproductive, lazy and only relates to sitting on the couch, watching TV (or Netflix, if you're cool). But is it all true? Isn't it true that not everything you do at work falls under the category of "work"? Aren't there moments when you wish you could just pause, close your eyes and listen to the external noises for a minute or two without guiltily attaching the label of "unproductive" to yourself? Your desire to simply be is not a flaw. It's your nature. It's time you welcome it and embrace it, judgement and guilt-free. We are human beings, not doings. Yes, we create, we produce, we move, but all of this is not separate from being, it's part of it. When we go through our day with the intention of being, we don't feel the need to push or strive anymore. We don't feel the need to hurry and compete, we are calmer, slower and more grounded. We are gentler and more compassionate to ourselves and others. We connect deeply with ourselves, we perceive the world not as an exterior, but as an extension of us. Things begin to feel less urgent, needed and important. They soften at the edges and we allow ourselves to be more present in the moment we are given. You can have the mindset of being all while you are doing too. You can drive, work, commute, walk your dog all while you are being. And I am not talking just about mindfulness here, but a way of living in sync with your body, mind and heart's rhythms. A synchronicity that allows you to flow with your day so you don't feel the need to push. Rest when you feel tired, eat when you are hungry, stretch your legs when you sit for too long, converse with a co-worker or a friend when you feel sociable and retrieve when you don't. 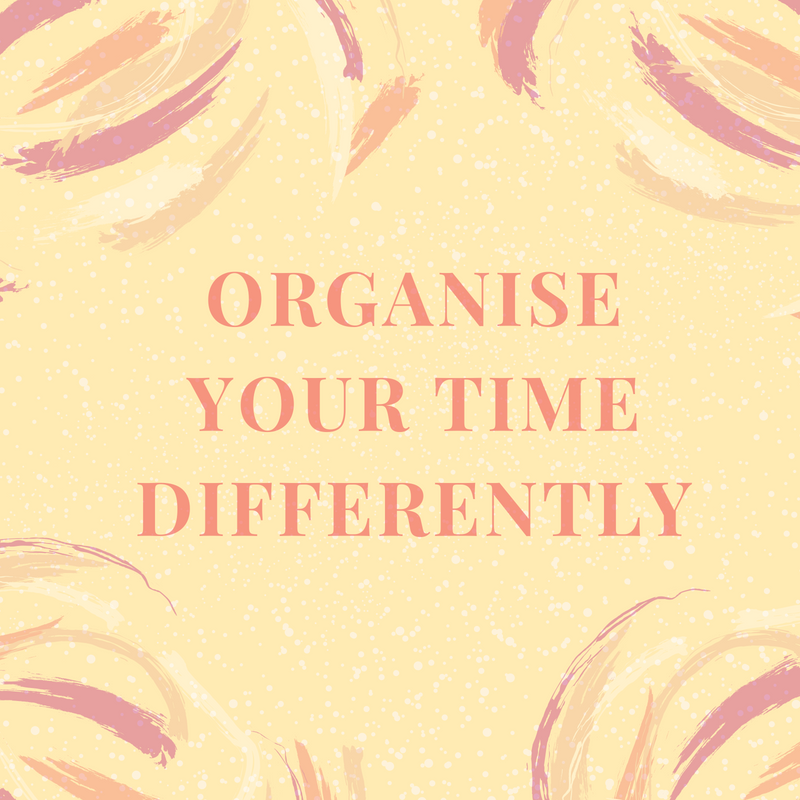 Prioritise those tasks that feel natural at the current moment and get back to those that don't at a later point. We are human, intelligent, emotional, intuitive... We are more than one thing. We are more than just doing. Just like it's easier to create when we feel brimming with inspiration, we are more likely to offer valuable contributions when we meet less internal resistance. Sometimes when we don't feel like doing something it doesn't mean that we are unproductive or procrastinating, but it's a pretty good indication that there might be something else that is worth our time and efforts at that moment. Don't try to push through and keep going when your body or mind has indicated otherwise. Instead, allow yourself to feel what you feel and then go through your day in accordance with it. Resisting or pushing might lead to the outcome you've desired, but throughout you would feel the inner imbalance like something within you is not quite right, but you cannot pinpoint what. Being starts with practice, the more aware you are of how you feel throughout your day, the more you can tap into it when you find yourself off course. It doesn't require years of special training - it has always been an intrinsic part of you, just now is the time to connect deeper with it. Have a day of ease and love and let me know in the comments below how tuning into being is going for you! And if you have any questions, I'd love to answer! Wellness is the place where you can join us on our journey to test some of those lifestyle tools and techniques the world has given us in its attempt to help us relax. Working out, breathing, foods to avoid or cling to, journaling, and so on. We will share with you what worked, what didn't, and what surprised us most. And of course, encourage you to try your own! Previously on Wellness - Where is the 'Self' in Self-care? If you are reading this, I'd assume that the answer is 'yes'. And if this is so, then you're in the right place! 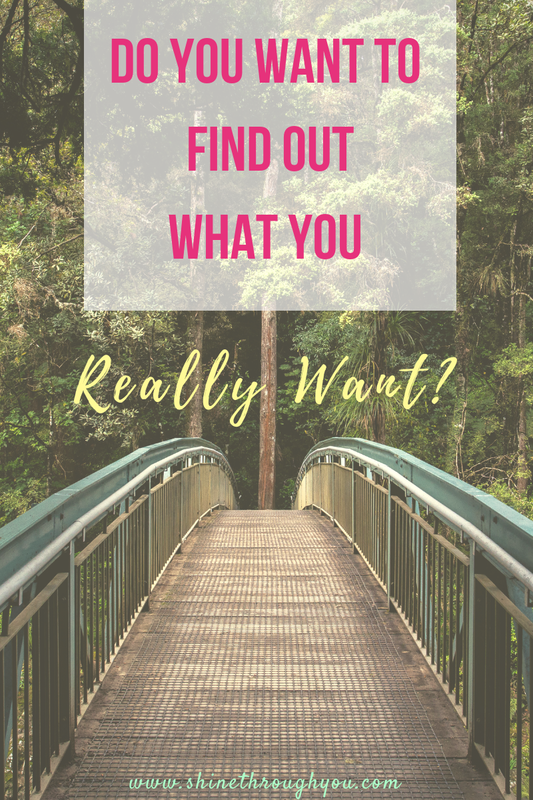 It's time you find out what you really want, for yourself and your life in general. We spend a great amount of time between doing the things we 'should'. We prioritise what we believe we 'should' do and then only get around to what we want in the weekends. If I were to ask why you aren't doing what you want the majority of the time, what would your answer be? That you have no choice? This is what life is all about? It is what it is? It's too late now? What else is there? Come on, give me your best shot. Now if I were to ask what your ideal day looks like, what would you say? Before you answer, I would invite you to close your eyes for a moment and take a deep breath. Envision your ideal day. Now open your eyes and tell me, how did it feel? How did you feel? If you want to find out what you want, these questions are the first step to taking you there. Self-discovery doesn't just happen, you seek it, you do the work and then you let go and allow it to come to you. Your answers are the first part of finding out. They are your compass to discovering what you really want, regardless of whether it's changing your job, starting a business, meeting your life partner, having a family, or travelling across the globe. It doesn't matter what it is that you want, it matters whether you really want it and whether you are ready to get there. But for that happen you need to take the time aside with no distractions and be deeply honest with yourself. It might be uncomfortable and bring raw emotions to the surface, but you can't know without prompting and reflecting. You can't know without seeking first. Once you have a clearer picture of what you want, you are almost halfway there. Of course, things are not going to just magically change, but having a new direction and building on your awareness are the key pieces that you cannot really start without. From then onwards you will need to identify what you can do to make that ideal day a reality and clear out the blocks that obstruct the road. What is getting in the way of living the life you want? Is it trying to make other people happy and putting yourself last? Is it fear that you might not get there or fear that you might be judged by others? Is it the lack of self-belief in your abilities and not believing in your worthiness? It could be anything. Being aware of what has been stopping you from going after what you want is not an easy task. It takes time and courage to unravel things you've neglected and brushed aside. 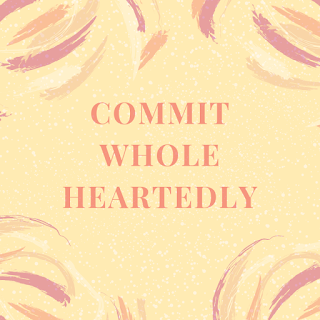 But don't let the fear of the process hold you back from committing wholeheartedly to what you really want. Things from the past may reappear and trigger you, but release your resistance and gently work your way through them. You can do that in any way that speaks to you - finding information in personal development books, listening to relevant podcasts, signing up to workshops and courses or working with a life coach. The choice is yours! Once you awaken your desires, it's absolutely normal to feel more inspired and excited to make them happen. The energy can invigorate you and you may feel like you just can't wait anymore. Yet focusing on the destination or the outcome can in return deflate your motivation. Slow down the race and pick up a pace that makes you feel good. Anytime you feel discourages, remember this. You are doing the best you can, you are making your dreams happen. When we lose the present moment, we get caught up in thinking only of the outcome, but if you don't feel enjoyment throughout the process, the likelihood is that you might not feel enjoyment when you get there either. Trust that you are on the path and it is all working out. 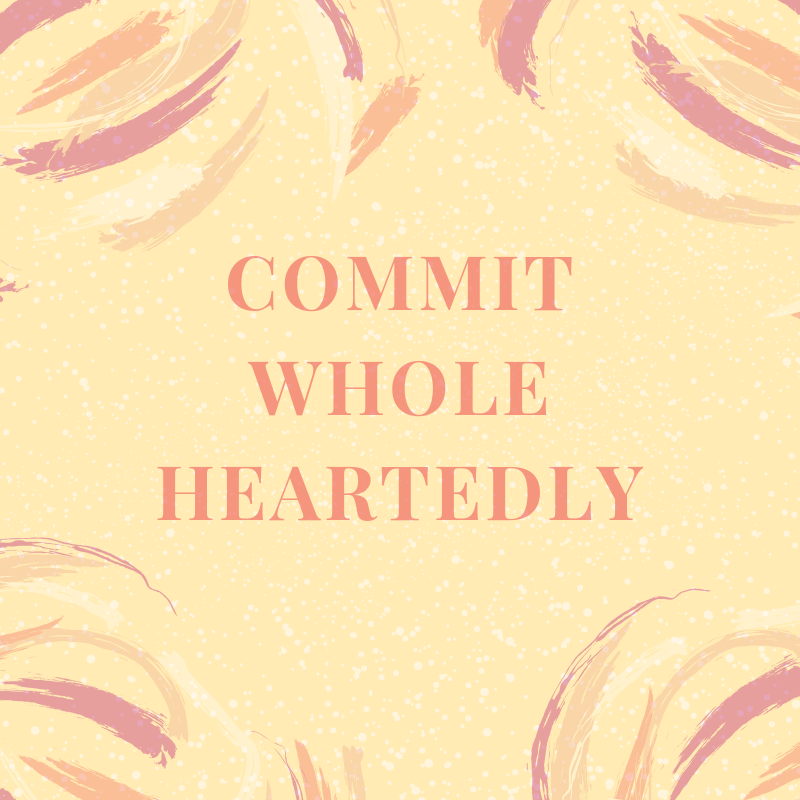 As long as you are honouring your commitment to yourself and you keep going, you will find fulfilment. It might not be always in the shape and form you've expected, but focus on the feeling you seek, not the 'thing' you want to have. And then let go. Release your need for control, your need to manage, and your expectations and simply allow yourself to be where you are right now. Allow yourself to feel the joy of the present moment, accept what you have now and the person you are. Once we let go of resistance, we welcome peace that eases the hurry and worry, which then gifts us with quiet happiness and more patience. Let me know in the comments below if this piece resonated with you! [Un]certainty. How can you love this word? It is the opposite of certainty and we all love feeling certain, assured, confident and knowing. That's what we are all aiming for, right? Well, not this time. With uncertainty things are a bit different. It's not something that we should work on to become more certain of, but actually learn to feel good in it. It's not really about overcoming. But allowing it, accepting it and flowing with it. All of those are just simple words and yet feeling them is nothing but simple. It is a process. 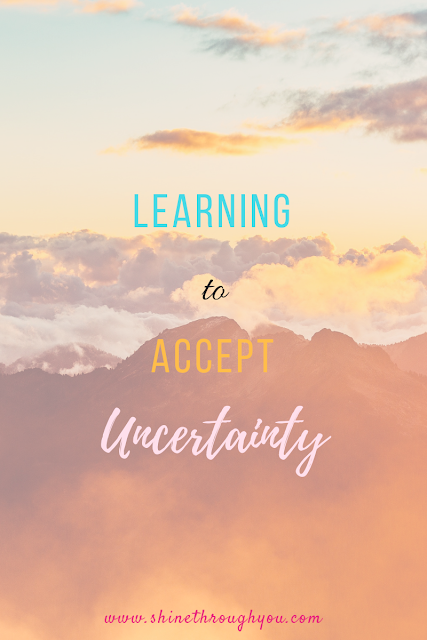 Some of us are better at living with uncertainty, others are not so and some of us have had to learn (yep, me included). I am not waiting anymore around the uncertainties, I am accepting them and allow them to be there. I might not necessarily like them, but resisting them and growing resentment within me was not getting me anywhere. I am not waiting around, I am living. I focus on what brings me ease and what makes me happy, not on what I can or cannot control. Because we don't control anything. None of us can. We only think we do... until we don't. 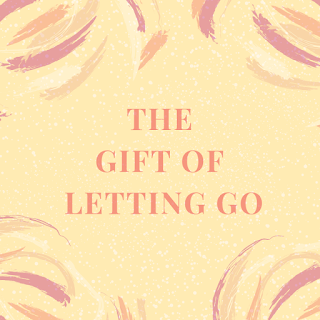 Letting go of my need to control helped me take the next steps. I no longer feel like I need to take action all the time. Forcing a desired outcome is not how we always get that outcome. I no longer feel like I have to give my power to the uncertainty. The power I have allows me to accept it. It allows me to flow with it and why not learn from it? Things don't just happen, there is a reason and I welcome the uncertainty to show it to me. We don't have all the answers instantly when we want them. Sometimes they come in their own time, but what we have right now is a choice. You can resist it, keep getting more frustrated at the present situation, at yourself or putting the focus on someone else, angry that they have all the power over your current circumstances. You can also ignore it, just pretend that everything is great and don't ever think about the subject again until the uncertainty magically transforms into certainty on its own. Or you can accept it as it is, you can cease trying so hard to change it and find a way to enjoy life throughout. You can learn from it and let it lead you to a new direction. Which option is the one that makes you feel better? Which option would you make your choice? Let me know in the comments below or share them on social media. I'd love to hear from you! 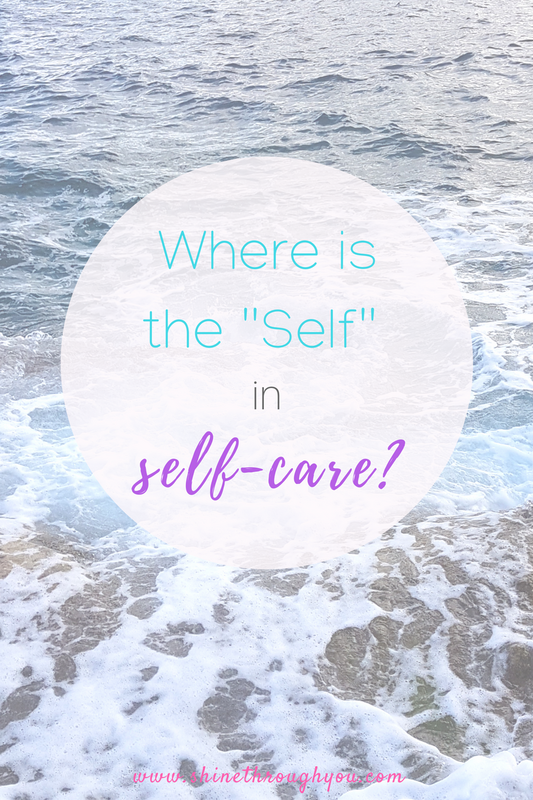 Self-care is one of the current buzz words that spirals down on us from Social Media, the wellbeing online circles and print media. 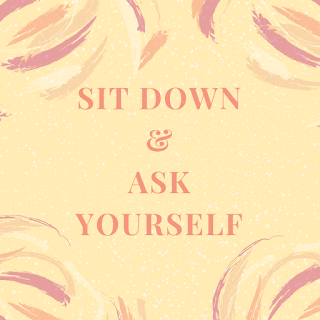 But what does self-care really mean? Is it simply painting your nails to a jazzy musical backdrop after a wild Saturday night? "Why would I need to practice self-care?" you might wonder. Well, I'm so glad you've asked! I invite you to join me and find out. 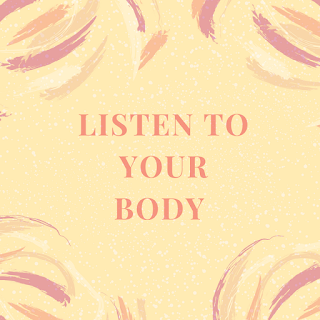 We all know how to take care of ourselves on a universal level - taking a daily shower, hydrating, eating and sleeping. On top of that each of us take additional care on an individual level - some like to take a candle-lit bath on a Sunday, some go on a long hike in the wilderness, others like to cook organic meals. But there's something deeply rooted beneath the surface of it all. You. That's right. Self-care is more than the food you eat, the hours you put in at the gym, or simply lounging in your pyjamas on a weekend. It's about what your entire being truly needs and wants - your body, mind, heart and soul. Taking care of all the elements of your self is where the key to self-care lies. It's often easier to focus on the physical part of it, because reaching deeper is uncomfortable. And we love our comfort to a level that we would do anything to avoid raw honesty with ourselves. But digging deep into the muddy discomfort is where we really find how to take care of ourselves. I am not going to give you a list of suggestions and ideas this time, not because I don't have any, but because they might not be what you need. Only you know that. What I am going to do instead is share a few examples of where you can have a better look. Then it's up to you where you want to see yourself go. Self-care is consistently finding clarity of what you truly want. It's figuring out how to feel good when you don't even know how to go through the week. It's about honouring your emotions and allowing yourself to fully feel them, because this is what makes you human. Taking care of who you are on a deeper level is not something to leave until retirement. It's something to do right now and keep up all the time. What is it that you are trying to avoid or neglect? What is it that you cannot accept in yourself? What is missing? Reflection is self-care - caring enough about yourself to go under the surface. Discovering what holds you back and finding the courage to change it is self-care. Not allowing the labels and definitions overpower the true you is self-care. Allowing yourself to want more even when everyone else around you can't understand why. There's no one else that can take care of you as well as you can. It doesn't come externally, but from within. That's self-care. I hope your week is flowing with ease! Last time in Daily Motivation, we talked about why multitasking is not effective and why it's time to let go of it. 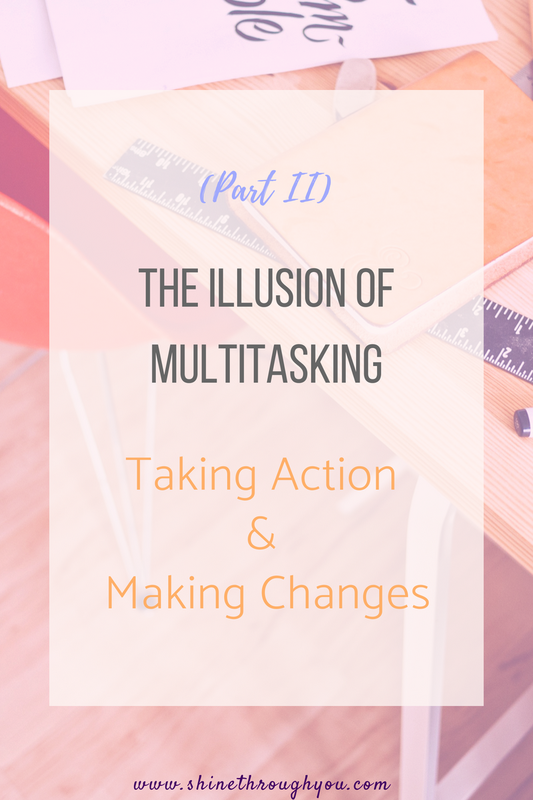 Being aware of it, now we can take some action - you can change the ingrained habit of multitasking by applying a few simple techniques. Yet regardless of how easy they may seem, don't forget that it all depends on your desire to change. The key to performing any task well is directing and sustaining our attention on it. When we are working on something and reach a point where we are tired, getting hungry, or stumble on some difficulty, our attention tends to wander. We decide that it would be good for us to focus our minds on another task and get back to the previous one in spontaneous intervals. But this habit creates disruption in our attention span and it's way more difficult to reach the same level of focus before we introduce another task. The solution is to try having only one project, word document, email or programme open. Only one. I know that many of you are now going to say "But my job is so much more complex!". I hear you, but before you reject this idea, have a moment to really think about what you can let go of, okay? There must be something you can drop off the "multitasking" mode you've been living in. Try starting small and see how it goes. The most efficient way to deal with a range of tasks quicker is to be systematic with your time. It's not about switching between demands at once, but having a really good look at your task list and creating a flexible system. Dedicate a realistic amount of time for the performance of each item on your list and prioritise them based on importance. Now here's how the flexibility comes into play - your day is not always the same, sometimes things come up unexpectedly and you have to adapt. Rather than assigning a time of the day for the completion of each task, only assign how long you think it takes you to do it. This way you can go through your list intuitively, one morning you may feel more drawn to communicate - hit up your inbox, next week you may crave more quiet time - here comes writing that long project you've been postponing. We are intuitive beings, we do what we feel like anyway, so why not implement it into your work schedule? Working on what we feel more in-tune with can only help us sustain our attention for longer and improve our wellbeing. Our bodies send us signals all the time, but we spend too much of it thinking of what we have to do to pay attention to them. Your body is going to indicate that you are feeling distracted before you even realise it. You may feel tension in your shoulders or restlessness in your legs and hands, signalling that you are not feeling quite focus-ready to do the task at hand. It might be that your stomach is rumbling and your attention is more towards glancing at the time and wondering what's for lunch. Instead of ignoring how your body feels, work alongside with it - give it a five-minute rest, stretch or take your lunch break earlier. Then you can return to your task and feel more in-sync with it. This way, you won't feel compelled to introduce another activity in between that will only create the illusion of "doing more". If you are prone to checking emails as you go throughout the day, you may need to reconsider it. 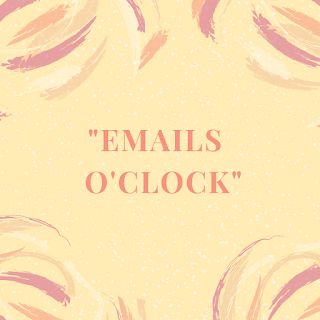 Looking at upcoming emails (even if you don't intent to respond) while performing a task is a recipe for distraction. 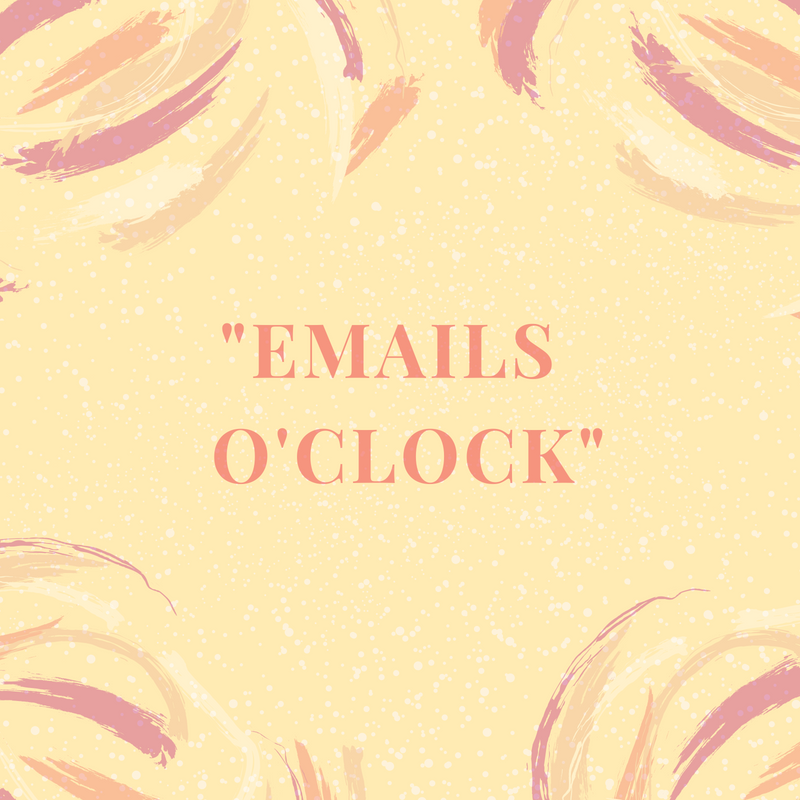 Dedicate a specific time slot for opening emails and stick to it. If you are able to, schedule your calls around the time where you do the rest of your correspondence so you have a more flowing transition between tasks. I hope you have a day of ease! It's reading time! If you happen to live in those pockets of the world where summer continues to grace us with its loving presence, then you may well be spending much of your free time lounging outside with a book in hand. You might be loyal to your favourite genre regardless of what that would be, but take a chance and try something different (unless you've already devoured all of the work mentioned below!). Books on personal growth have something to teach us and we can all do with a bit of learning from time to time. You can gain better clarity of who you are, who you want to be and how to get there. The books in this selection can give you the tools to identify your limiting beliefs, fears and mindset patterns and show you how to work on them so they don't hold you back anymore. They can also guide you to connect with your heart-centred desires, live truly aligned with them and lean on your inner wisdom more. Written by the inspiring world-famous researcher Dr. Brené Brown, The Gifts of Imperfection is really a gift to all of us. It explores a range of issues such as perfectionism, shame, authenticity, vulnerability and others that many women worldwide struggle with every day. Influenced by a decade of research, living your life from a place of worthiness is the heart of her work. As a struggling perfectionist herself, she poignantly shows us that we can be both vulnerable and courageous, but most importantly we can be so much more if we are truly ourselves. Dr. Hendricks puts to work his lifelong psychological research and brings us an eye-opening truth - we all self-sabotage and we can all break that pattern so that we live a way more fulfilling life. He outlines the most common methods we use to limit ourselves once we hit our "upper-limit" of happiness and how to overcome them. It's time we stop playing small and take the big leap. "People who are compassionate toward their failings and imperfections experience greater wellbeing than those who repeatedly judge themselves." Learn how to release the ongoing voice of criticism and make room for more self-compassion using easy-to-implement practical suggestions. Dr. Neff urges us to look at self-esteem in a different way - we can't make a lasting change if we don't know what self-compassion feels like first. Being human is hard enough without us being unnecessarily hard on ourselves. The Desire Map centres on your heart's desires - what you truly, deeply want. Once you have that self-knowledge you can incorporate it into every aspect of your daily life and long-term goals and plans. LaPorte shows us how we can use our core desires as guidance towards living a whole life that is aligned with who we are and what we most want. A little note aside - the book's structure and writing style may not relate to everyone (yet the same often applies to every written book out there!). If you feel like it is not your cup of tea, you can still try using your feelings as a daily life compass - just start by asking yourself a few simple questions: "What do I really want? ", "How do I feel now?" and "How do I want to feel in regards to (…)?" and see how it goes from there! Implementing her track-proven step-by-step program, Martha Beck delivers a book that is designed to help you find yourself and unlock your full potential. Cutting through limiting beliefs and stories, Beck gently guides you to returning to your essence and living an enriched life simply by being yourself. We all have a guiding "North Star" - it's just a matter of time to find and follow it. I hope you find value in this list and it leads you to finding a missing piece of the puzzle (we all have some of those, right?). Share in the comments below or in your favourite Social Media platform what are your impressions of the books - what did you love and what not so much? I'd love to hear your inspiring thoughts! Have a week of love, calm and great reads! In Arts & Entertainment we will try to turn off our hard-working brains and deal with the less-exhausting prospect of our leisure time. Here we will talk about all things visual: new exhibitions, books and movies that made or failed to make an impression and also discuss what example the popular culture and our society give us - when is healthy to follow it and when to say enough. Each one of us is born with the innate ability to overcome difficulties and challenges in a way that doesn't leave a lasting negative mark. In some people this ability is naturally quite strong, while in others it may need some supplemental strengthening. Psychologists call it resilience. If we look up the term in the dictionary, resilience is referred to as "an ability to recover from or adjust easily to misfortune or change" (Merriam-Webster) and "the capacity to recover quickly from difficulties" (Oxford living dictionary), or perhaps you have your own word. Regardless of what you call it, we can all recognise that feeling within us guiding us to bounce back from a difficult period and helping us move forward. However, there will also be moments when we need more time. What's important is that it can feel much easier to work on strengthening our resilience when we are not already swimming in the stormy seas of a challenge. The suggestions below can help you build on your resilience. You can work on them and return to them at any time. Resilience levels are not universally the same across all of us, so feel free to try them out, see how you feel and adjust them when needed. It all starts within. If we want to be less negatively impacted by external factors, first we need to build up our self-esteem. We need to know, not just think that we can handle any challenge ahead of us and that we are worthy to do so. As we strengthen our relationship with ourselves, we are strengthening our resilience. Create space to be open with yourself and admit how you truly feel about yourself. What is there that you love? What is there that you need more acceptance of? What are you afraid of? Once you have that honest conversation with yourself, you can move forward to building up that bond by showing yourself compassion and allowing others to do so too. Your self-worth is not something you need to earn or work for. It's there, you just have to find that door to fully embracing it, because we are all inherently worthy. Confidence is not the anterior you put up in front of other people. It's not about who seems the loudest or most outspoken. It's a reflection of how you truly feel about yourself and taking action despite the fears that might be holding you back or dimming your light. Even when you want to show to yourself and the world that you can do it all, lean on your emotional support. Lean on the people you love and the unconditional support they give you. They are there for you to listen to, to hear and see you as the real you and lift you up. If you trust them and if you feel like you will be met with love and understanding, reach out to them and lean on their help. Doing so doesn't make you weak or needy, it doesn't make you less courageous or more afraid, but the opposite - it makes you human. Sometimes we show our strength the most when we recognise that we could lean on the help of others. But if you feel like the people in your life are not able to offer you that positive support, see it as an opportunity to re-evaluate your relationships and determine whether you want to keep them in your life. Can you invite an open conversation with them and see if you can work together towards healing and moving forward? Is it perhaps time to let some people go and welcome others who can better understand and support you? Those questions are not easy at all to ask yourself, but if you've felt like this for some time and you know within yourself that you have to make a change, don't swipe it under the rug. Now is your chance. Research has shown that the more we broaden our mindset and experience positive emotions, the more we strengthen our resilience. We change our perspective and begin to view our life as a more positive experience and the world as a whole. There are numerous practices you can adopt to build on your abilities to experience positive emotions. You can try meditation as a way to centre yourself and connect deep within or just dedicate a couple of minutes to sit in quiet with no distractions and let your mind and body relax. The calmer we are, the more we open ourselves to experiencing positive emotions - the more we notice and appreciate them. Another way is to develop a gratitude and appreciation practice by writing down things you feel thankful for on a daily basis. Do more of the things that you love and bring you true joy, spend more time with the people you love, find more opportunities to lighten up, laugh, dance and play. Slow down, connect with yourself and others and welcome more joy. All of the above are great starting points to begin building your resilience, but the list is not exhaustive. If you really wish to make a lasting improvement of any kind, you need to look at your life holistically. What areas of your life or your mindset do you feel an inner calling to change? Is there something you are trying to ignore or overlook because you feel fear around the outcome? Because when we find ourselves in the eye of the storm, all those little things we've ignored pick up speed fast and we feel them way more than we do on a good day. Of course, this is not about striving to be "perfect" (there's no such thing! ), but to be honest with ourselves and acknowledge what can be different for our own good. We will never have it "all sorted out", but we can love the humans we are right now and be confident in ourselves that we can continue to learn. Travelling can be exciting, especially when you're thinking about the destination, but often the journey itself ends up being exhausting. Imagine that you've had to cram a week of work into the day before you leave and finish packing by 2am in the morning, all while making sure you watered the plants, threw away the rubbish and turned off the boiler, just to discover that the clothes you wanted to take are in the laundry basket. The thing about holidays is that they are all-so-wonderful and relaxing, but getting there can be quite the opposite. If you are not the only one out there wondering how you can experience the joys of smooth travelling, join us and find out whether it's really possible or just another modern-day fantasy. There are a couple of nuggets I've learned the hard way. One of those things is overworking. Whether you work for yourself, a start-up, a medium or big organisation (been there, done that! ), there'll be a pile of work lined up for you before you go and a pile of work sweetly waiting for you to come back. It's inevitable. However, what you can do is prioritise, manage and process as early as possible. Depending on your level of responsibility and amount of work, try to start at least a month ahead. Keep the date of travelling somewhere visible, so it can serve you as a reminder not to schedule anything time-consuming or take up on a new project closer to that day. Make a list of everything you have to complete by the day you go and prioritise it based on urgency and importance. 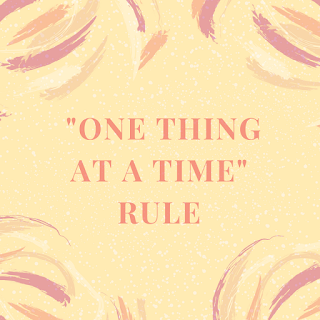 This way if someone asks you to do something that's going to take a good chunk of your time, you can instantly refer to your list and be honest whether it can be done on top of everything else. If you're not honest with yourself, you are signing up for a week of miserable struggle. You are a human being, not a superhero. Keep that in mind next time you are about to nod and smile. Check what you'll need to buy for your trip and run the errands the weekend before. As tempting as it can be to leave stuff for the last minute, this time might be spent more usefully in case of emergencies or anything else that pops up in your mind literally in the last minutes. Also if you are looking to purchase something specific, you may not find it instantly, so leaving yourself a few more days to look around is not such a bad idea! This one is an absolute must. When we are running between things and have time only to catch our breath, our wellbeing often doesn't even make it on our list. But this is when it's even more important. Stress can cause sleep difficulties, bad digestion, and weaken your immune system among a few others. Dedicate extra time to plan and prepare healthier meals, perhaps add some vitamins and supplements and hydrate. Immerse yourself into a soothing salts bath and stick to an early bed time regimen. Being busy can tempt you to forgo your morning workout or meditation and rush to the office earlier, but if you strongly feel the urge to do so - perhaps shorten it rather than completely desert it. If you neglect to take care of yourself, travelling can be unpleasant and even a week at a secluded beach won't be enough to restore your strength. Feeling more at ease starts first and foremost from within. A joyful packing experience has only ever been felt by a select few. If you are not one of those lucky souls, make sure you have plenty of time at your leisure so you don't switch to panic mode and end up forgetting something. The calmer you are, the better your memory works. Run the washing machine ahead of time for your clothes to be ready and dry and take only what you need. Realistically you can't wear all of those tops in one day, so don't pack more than you can actually put into use. Same applies to skincare and beauty products. You might think you need all of the items of your lengthily routine, but if you are not going to be away for a long period of time, be creative and work out what you can leave behind. There's always something that's not going to be deeply missed. If you are travelling by air, delays are common feature as you already know, so it might be practical to pack some essentials in the hand luggage just in case. It's good to consider what time of the day it will be when you arrive and what you would need. A mascara is not always one of those, but toothpaste and a brush, hand sanitiser gel and something nutritious may come in handy. There's time and place where style can take a backseat and that's travelling, regardless of what form it takes. You don't want to find yourself regretting those tight jeans on a long-distance trip. Comfort and functionality go together well with travel. Choose breathable fabrics and also always consider the possible weather changes - flip flops might be better suited for your suitcase rather than your feet. Grab a hoodie, a cardigan or a scarf just in case you get the chills from the air conditioning unless you're the one driving and dictating the rules! We all want easy and enjoyable travel, but sometimes the best way we can do that is by channelling our self-compassion. Striving for perfection is not going to give you the satisfaction and peace you are looking for. It's okay to leave some pieces of work unfinished, it's okay to be a little bit messy, it's okay if you don't get everything you had in mind done. All of those things are perfect in their own way even if they are not in the shape you've wanted them to be. Don't be too hard on yourself if travelling doesn't bring a smile to your face like it does to your friends, real life is not a social media flicker. Take your time and the joy will come to you at its own pace. Allow yourself to feel the way you do and allow yourself to be the person you are, unruled by expectations. Only you can bring that ease. Have a day of love and travel light! My name is Annie and I am a qualified Life Coach with a background in Psychology. 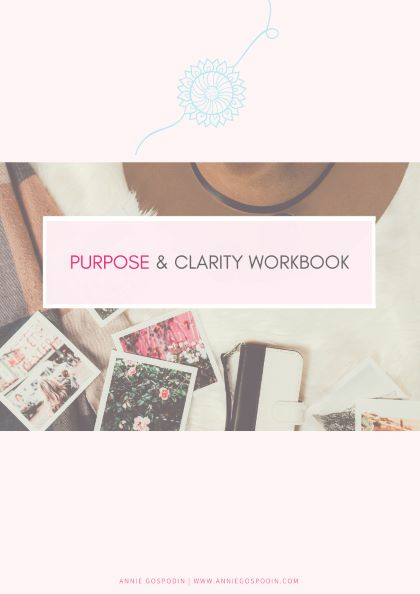 I guide and support women all over the world to awaken their authentic self and connect with their true purpose so they can live the life their hearts and souls desire. I help them overcome their fears and doubts, let go of living according to other people's expectations, release the need of approval and validation seeking, free themselves from making others happy and start following their own unique path. Living a purposeful life on their own terms from a place of unconditional self-love and unquestionable self-worth. Copyright © 2018 Shine Through You. All rights reserved.